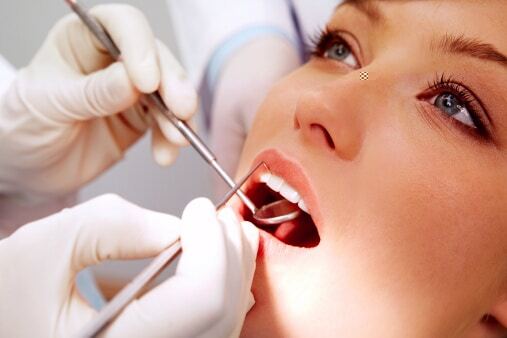 Dentist Collingwood offer a wide range of excellent dental treatments for all patients. Our team of professionals conduct a thorough assessment and make the most suitable recommendation particular to your circumstances. We provide a comprehensive array of dental treatments including our permanent dental implant options. Which provide advantages over regular dentures and removable prostheses. Our dental implants are available at our Melbourne based clinics in both Collingwood and Camberwell. Removable dentures used to be the primary option for patients who wanted a full set of artificial teeth. However, they had many issues that caused patients discomfort and other problems. They made the basic act of eating harder than it should be, as it limits the kind of food you can ingest, as well as causing bad mouth odour (halitosis). Their lack of stability requires that they be fixed in place with adhesives, otherwise they may slip out of your mouth. The adhesives themselves may also cause irritation and/or allergies. Fortunately, Dentist Collingwood offer a more secure and overall better solution than removable dentures. Our dental implants are designed to fit your mouth and provide full lip support, preventing issues such as premature wrinkles that removable dentures can cause. In fact, they restore and maintain good facial structure as they preserve the existing bone mass. Dental implants are fixed in your mouth and cause no discomfort whatsoever, and allow our patients to both chew and enjoy any food they like. To top it all off, they create a perfectly natural aesthetic and will not slip or move. There are far reaching benefits to having the correct dental treatment; in fact, having dental implants is very beneficial to your health. Contact Dentist Collingwood today at 9077 9953 to arrange your personal consultation today.